Vessel Blog: What we're up to. Hi all! Just keeping up with my tradition of blogging regularly, dropping off the face of the planet, and then returning like nothing ever happened. I am the Jenny to your Forrest, and for that I am sorry. So what's going on? A lot! For starters, I took a break from Deliverance to complete a 2nd edition of Advent--which is free, indefinitely, on all ebook platforms! If you've already read Advent (aka, Book I of the Vessel series), then there's not much new to see. Just some corrected typos and a gutted paragraph or two. But if you've got a friend who would love Vessel? Now they can start the series without spending a single hard-earned dollar! I can't say for certain what the future will hold, but I hope to keep it that way. And Deliverance? It's rolling right along. A huge chunk of it was written during my first attempt at NaNoWriMo last November. Advent's 2nd edition, plus a change in my household (my man moved in!) caused a few months of delay, but I've been back at my desk for a while now and plan to use this year's NaNo to complete the 1st draft, plus work on a smaller project that I think you'll like. With the draft done by the end of the year, I estimate that Book III will be available sometime next Spring. And what a book it will be! Deliverance will highlight Corin, and is somewhat of a darker departure from the first two books. Fear not, though--there will still be plenty of laughs. I'm not quite sure yet how I'm going to maintain that balance, but these boys haven't let me down yet. As always, I'll start out with what I think I know and then see where they take me. As for that smaller project . . . there are a few spinoff short stories turning my wheels and this first one will feature . . . (drumroll) . . . Stella! I'm very excited about trying a new POV and exploring some pre-Vessel backstory. The short in untitled as of yet and will be available either right before or at the same time as Deliverance. Can't wait! 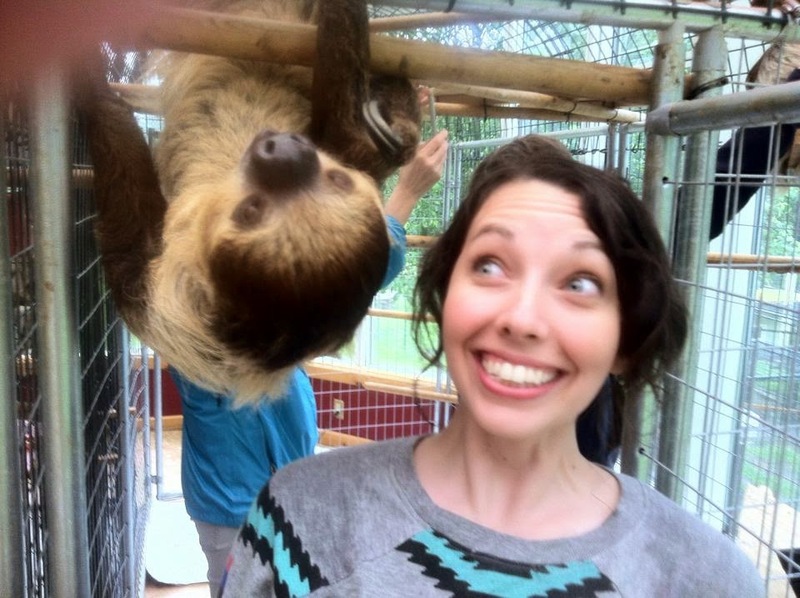 Oh, and I played with some sloths.